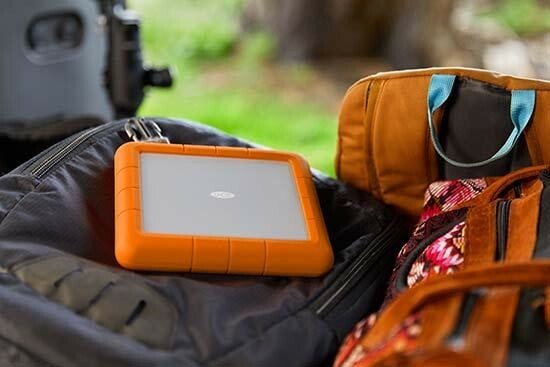 The LaCie Rugged RAID Shuttle and LaCie 2big RAID are two new storage solutions for creative professionals and prosumers. April 8, 2019 – Today at the 2019 NAB Show, LaCie, the premium brand from Seagate Technology (NASDAQ: STX), announced two new storage solutions for creative professionals and prosumers. The new LaCie® Rugged® RAID Shuttle and LaCie 2big RAID build on the brand’s record of efficient preservation of high-value, high-resolution digital imagery through the capture, edit, distribution, and archiving workflow. The Rugged RAID Shuttle offers USB 3.1 Gen 1 (5Gb/s) technology with USB-C connector compatible with next-generation Thunderbolt 3 and is backward compatible with USB 3.0. With a 3-year limited warranty and Seagate’s Rescue Data Recovery Services included, the drive includes a complimentary 1-month subscription to Adobe Creative Cloud® All-Apps plan (a $52.99 value) featuring Adobe Premiere® Pro, Adobe Photoshop®, Adobe Illustrator®, and more. The 8TB LaCie Rugged RAID Shuttle will be available in May with an MSRP £489. Also designed by Neil Poulton, the LaCie 2big RAID features a handsome space gray aluminum enclosure designed to reduce noise and vibration. It is pre-formatted exFAT and takes the mystery out of setting up RAID modes through the included LaCie Toolkit with RAID configuration. With a standard 5-Year Limited Warranty with Rescue Data Recovery Services and complimentary 1-month Adobe Creative Cloud All-Apps plan, LaCie 2big RAID is available this month with MSRPs of £399 (4TB), £499 (8TB), and £689 (16TB).